Foley-Belsaw Sharpening is now a part of Sharpening Supplies. By combining the two companies, we’re able to offer you more sharpening products in one location. We are proud to build on the 90-year history of Foley-Belsaw and we will continue to invest in its future. We have been helping customers find the right sharpeners for more than a decade. Selecting a sharpener can be difficult if you're not sure what you need. Our staff is trained to listen to your needs and to help you find the right sharpener the first time. 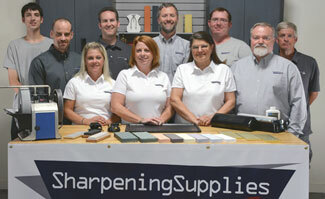 We understand that it may be your first time sharpening, so we're available to help you if you have questions. 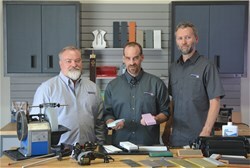 Even if you're already a sharpening professional, our staff is available to answer your tough questions. We use what we sell, so you can be assured that when you purchase from us, we're able to help you with your sharpener. We offer many different types and dozens of brands of sharpeners. In fact, we have over 1,500 different sharpening items. 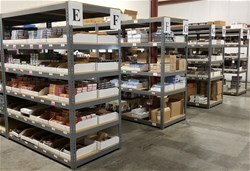 Our warehouse is fully stocked to meet your specific sharpening needs. If you need a complete sharpening system, a hard-to-find sharpening stone, or just a replacement wheel, if it is related to sharpening, we probably have it. We ship everything we sell. We ship Monday through Friday and all in-stock orders placed by 2:00 p.m. CST are shipped the same day. By shipping quickly, we're able to get your items to you faster. That is how we do business and we would be happy to earn your business.